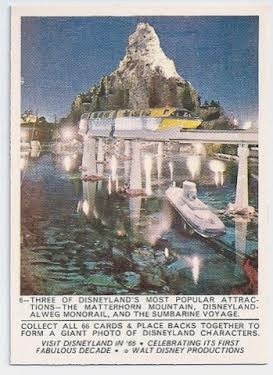 A few weeks ago my dad shared a few of his favorite 1965 Disneyland Donruss bubblegum cards… and people enjoyed them so much that over time I would love to share the whole series! There are 66 total cards, and of course my dad had to buy the whole set. Wow! These are seriously great. 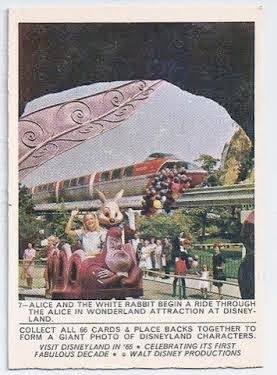 I especially love the Alice In Wonderland card. 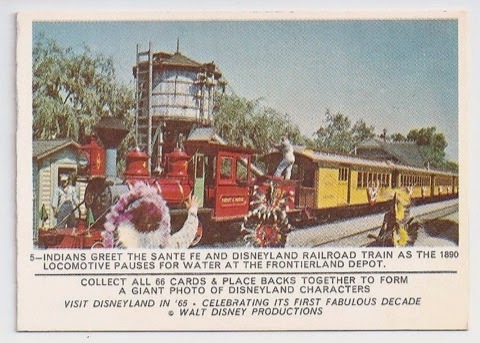 I wish Disney would release a set of these for every big anniversary, considering how much they love to push collectibles down peoples throats. Thats something I could get behind.